Its bigger sister, the 2000 Haut-Brion (a blend of 51% Merlot, 43% Cabernet Sauvignon, and the rest Cabernet Franc) showed incredibly at the tasting, and for me is one of the three or four most prodigious wines of the vintage. A compelling nose of roasted herbs, scorched earth, sweet blueberries, plums, black currants, and a hint of graphite is followed by a deep, layered, sumptuously textured, full-bodied Haut-Brion, but one with extraordinary complexity. This wine seems more evolved and approachable than I had expected it to be at age 10. My window of maturity seven years ago was 2012-2040, but I would change that to 2010-2050. 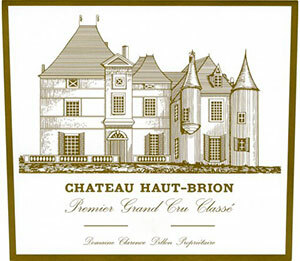 Haut-Brion can be among the trickiest Bordeaux to taste young, often needing a full decade before the extraordinary complexity that marks this terroir begins to emerge. I was thrilled to see how well both the second wine, Bahans Haut-Brion, and Haut-Brion performed in this tasting, and both scores are slight upgrades. Tasted from an ex-château bottle in Bordeaux, I was not surprised to find the 2000 Château Haut-Brion flirting with perfection. The nose is simply breathtaking - quintessential Haut-Brion with ebullient red berry fruit, roasted herbs, gravel, terracotta tiles on a warm summer's day...it is simply wave after wave of intoxicating scents that could bring even the most stoic person to tears of joy. The palate displays heavenly balance, pitch-perfect acidity, perhaps spicier than previous bottles that I have tasted, and what depth and dimension in this outstanding wine. That hint of graphite on the finish is a cheeky nod to Pauillac, as if to thumb its nose at the First Growths, because alongside Château Latour, almost by stealth, the Haut-Brion is one of the greatest Bordeaux in this millennial year. Tasted November 2014.